Assess exposure to heavy metal pollution present in the homes and bodies of children living near industrial facilities in the West Berkeley and West Oakland area. Each participant will be asked to make their home available for one wipe sample, and take your child to Children’s Hospital Oakland for one blood draw (2 mL, about the size of a tablespoon). Twelve 24 hour air samples will be taken during the length of the study at five homes. The study is expected to take six to eight months from the introductory meeting to the final report. All blood draws will be conducted at Oakland Children’s Hospital by a licensed phlebotomist that is trained in working with young children. Community organizing and advocacy work with GCM and other groups. This study is inviting 70 children (and their parents) between the ages of 1-5 to participate in the study, 35 children from each community. 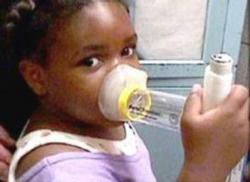 Young children are often exposed to higher levels of pollution. This study is focusing on children ages one to five who have lived in their same home for a minimum of one year/twelve months. Families living within one mile of Pacific Steel Castings or Custom Alloy Scrap Sales will be given preference. Complete and sign the consent form. Be available for a short interview to conduct the screening questionnaire. Take your child for one blood test at Children’s Hospital Oakland. Be available for one dust wipe sample at your home. Have proper training in working with human participants. Receive approval from an Institutional Review Board. Provide clear information and be available to answer questions. Participating families will receive a letter with their child’s blood sample results and their homes’ dust wipe sample results, compared to national averages and relevant health guidelines. There will be a team of environmental health professionals available to answer questions and available for individual meetings. There will be a series of optional conference calls and a group meeting to discuss overall trends. An analysis will be conducted to return to the original question-”Are children living near industry exposed to greater amounts of pollution than those further away?” The results will be compiled into a final report. The Study team will be compiling a report with the results, trends and analysis. The report will be given to study participants before the public release. Where appropriate, the study report will be released to the media, policy makers, government agencies, area businesses and the general public. All information will be kept strictly confidential unless your family would like to volunteer to share their story. Since this is a pilot project, the study team will encourage additional researchers (academic and agency) to broaden the scope of the research-to involve you in the process and with your families’ best interest in mind. We also believe that this study may provide useful information for policy makers, company management, and the broader community. This research study is sponsored by Global Community Monitor in collaboration with the University of California, San Francisco, Pediatric Environmental Health Specialty Unit, and Children’s Hospital Oakland.